1. Flea shampoos, sprays, and powders. Most products will kill any fleas present on your dog at the time of application, but many have no lasting effect - your dog may have more fleas within 24 hours of being treated. When using a flea shampoo, always begin on the dog's head, face, and ears so the fleas won't run for shelter in those hard to reach areas. Be extra careful not to drip any solution in your pet's eyes. Applying the solution with a sponge is helpful. All shampoos should be rinsed thoroughly from the coat. Some of the newer, more effective sprays can be a valuable part of the overall treatment plan. They kill adult fleas rapidly and are safe enough to use daily, if necessary. Flea sprays containing insect growth regulators (IGR's) are helpful in managing the overall problem because they help to break the flea life cycle. Be sure to read the label when using any of these products, because they might be recommended for once a week application, instead of daily. Flea powders are easy to use - simply sprinkle on your dog's coat. 2. Flea rinses or dips. These may be effective for four to five days, depending on the product. The rinse is applied after the dog has been shampooed and not rinsed out and left to dry on the dog's coat. You need to dip the entire dog from nose to tail. Follow directions carefully regarding frequency throughout the flea season. Pet shops and supermarkets sell a huge variety of flea dips and shampoos for your pet. If your dog has only a few fleas, there's no reason why you can't treat him yourself. Make sure to follow the label instructions on whatever product you buy, and pay close attention to age restrictions. Many products are not suitable for young puppies. Never use cat products on dogs. As with flea shampoos, when using a flea dip, always begin on the dog's head, face, and ears so the fleas won't run for shelter in those hard to reach areas. Be extra careful not to drip any solution in your pet's eyes. Applying the solution with a sponge is helpful. 3. Sprays containing flea growth regulators which are called IGR's. These sprays are usually applied weekly and the growth regulators help break the flea's life cycle. 4. Flea collars. Flea collars are an easy, economical, and useful method of flea control when used before you see fleas, but aren't very effective if you already a flea problem. Flea collars are on the dog and working 24 hours per day. However, they are not very effective in climates that are especially conducive to flea reproduction. Many people don't like the smell of insecticidal flea collars or the smell and oily feeling the insecticide leaves on their hands after petting a dog wearing one. But, they are a lot better than nothing! 5. Spot-on products. Advantage® and Frontline® are two brand name products that are applied topically to a small area of the dog's skin and they effectively kill fleas for at least a month. They are purchased in small vials that contain one dose for various sizes of dogs. They kill adult fleas, usually before the flea has the opportunity to bite your dog. When using some of the new residual topical treatments such as the spray and the liquid applied to the dog's neck, you may find environmental control will become much less a concern. In some cases, treating the dog with these new products will effectively control the environmental problem. 6. The pill. (Program™) This product prevents flea eggs from hatching when administered orally to pets once a month at mealtime. Dogs are fed Program in tablet form. Different tablet sizes and suspension doses are prescribed according to the animal's weight. When an adult female flea bites a Program-treated dog, the flea ingests the active ingredient (lufenuron) which then passes into her eggs and prevents them from hatching. Program is dispensed only through veterinarians. This drug does not kill the adult fleas on your dog, but it does break the flea life cycle by preventing hatching of the next generation of flea eggs. In effect, it kills the next generation of fleas. 7. Natural methods include essential herbal oils, essential fatty acids, garlic, and/or B vitamins tend to make the animal less tasty to fleas. You can supplement with garlic or brewers yeast tablets. Some animals are allergic to brewers yeast, so watch closely the first week or so to make sure the itching doesn't get worse. 8. Flea Combs. Run the comb through your pet's hair and gather a bit of hair and "flea dirt". Daily flea combing may seem like a tedious process, but you can trap some of them in the comb. Be sure to drown them in soapy water, because fleas can jump out of plain water. Advantage Flea Control for Dogs. 98-100% of fleas are killed within 12 hours. Advantage kills fleas before they lay eggs, so their life cycle is broken. PROGRAM flea control for dogs in a tasty tablet form. Has no effect on adult fleas but rather controls fleas by breaking the flea life cycle at the egg stage. Martin Brock. Want a happier, healthier pooch? 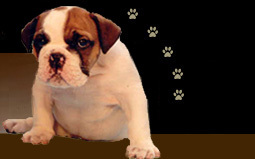 http://www.pet-supplies-review.com makes it easy to find relevant information about your four-legged friend.